It’s hard to get in and out of Colorado without missing the Denver International Airport. And good thing, because the tension fabric roof is nothing short of inspiring. Rarely do you see airport design this clean and unencumbered. 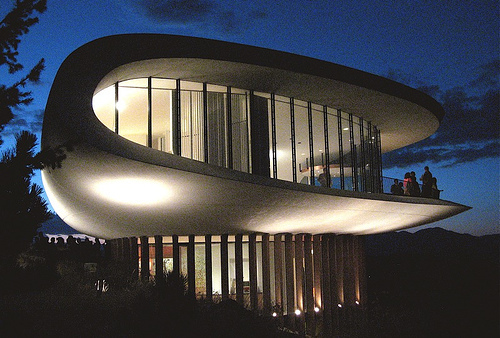 Designed by Fentress Bradburn Architects the structure was engineered by Horst Berger. 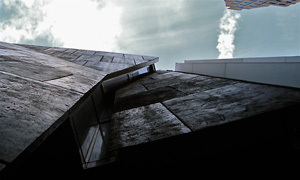 Heavy hitter Adjaye Associates designed the Museum of Contemporary Art in Denver. 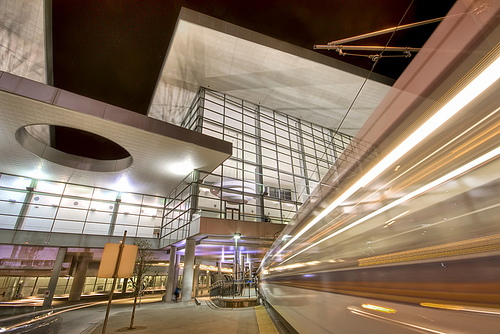 The Colorado Convention Center at 700 14th St seems fresh and engaging, also designed by Fentress Bradburn Architects. 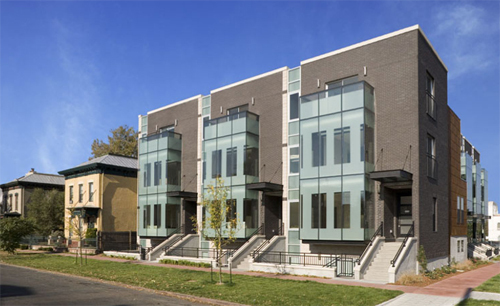 We were thrilled to find the Art House Townhomes in Denver by Studio Completiva. Go check out their clean, sleek website here. 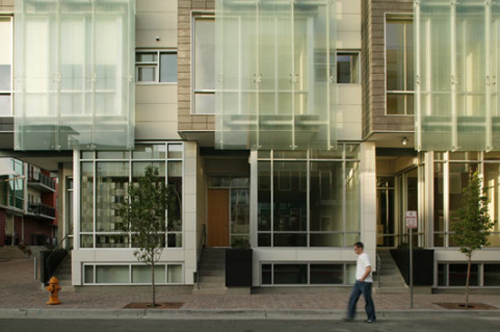 Merchants Row in Denver by in situ DESIGN also caught our eye. We love the modern details integrated with a handsome form. 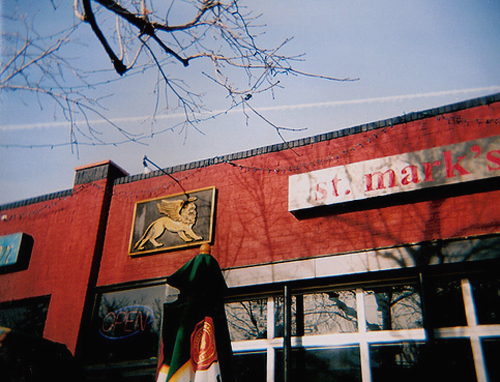 If you like street food head to Biker Jim’s Gourmet Hot Dogs, for good coffee head to St. Marks Coffeehouse and for dinks saddle up at the Thin Man. 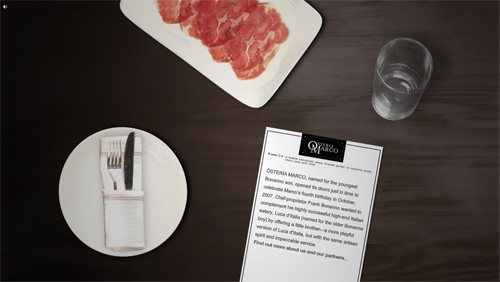 For small plates head to Delite or Beatrice & Woodsley. For the non-carnivorous head to WaterCourse and for live tunes check out The Walnut Room. Later, when it’s time to get your martini on head over to the Cruise Room at The Oxford Hotel. What is it about cupcake shops? They’re simple and well designed just about everywhere we go. Denver is no exception. Get your sugar fix at The Shoppe while you’re taking in some clean design. For shopping in Denver check out Composition in the Lakewood neighborhood and Wordshop in the Highlands. For furniture check out Modern in Denver and One Home. Heading west out of Denver, off the south side of I-70 keep your eyes open for the Sleeper House designed by Charles Deaton in 1963 and featured in the Woody Allen film Sleeper. South from Denver, near Colorado Springs is the not to be missed Air Force Academy Chapel completed in 1962 by architect Walter Netsch of SOM. 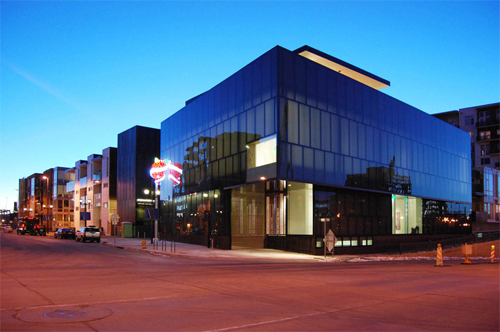 Head north and you’ll find the Boulder Museum of Contemporary Art. There’s something very captivating to us about the raw character of this institution. 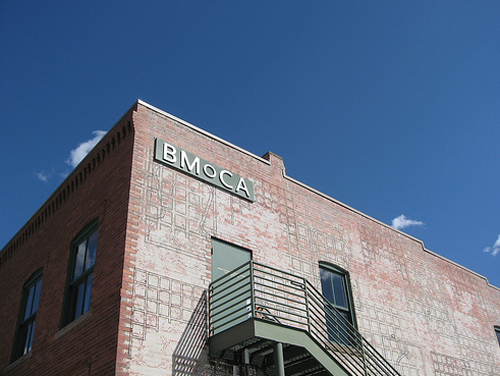 In an age of super-slick, mega-budget museums, BMoCA seems human and tangible. 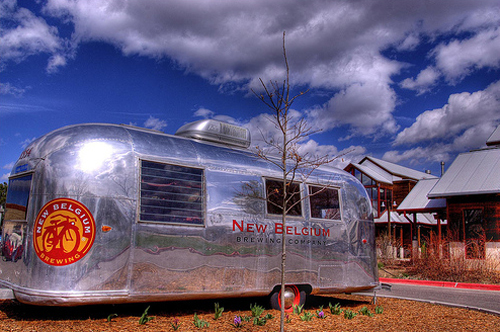 Further north in Fort Collins is the New Belgian Brewing Company that produces the Fat Tire Amber Ale we like so well. They also bonus their employees with cool fat tire beach cruiser bikes. Cheers to that. Team BUILD headed south-west to Colorado’s Montrose County and we were delighted to find a well-preserved and functioning small-town America. It’s an agricultural and ranch setting that the design-minded would enjoy spending a bit of time in. The historic downtown has been deliberately preserved with regard to it’s original architecture and the surrounding scenery is magnificent with the impressive Uncompahgre and San Juan mountains in the distance. Pleasantly surprising was the Montrose Library designed by Park Davis Associates; it’s modern addition hints to influences by uncle Frank. …and you know how it is with us, sometimes the most interesting architecture is the modest, insignificant work out there. The Town & Country car wash in Montrose is impressive because it raises the bar of design across the board and comes into contact with a good cross section of the public. With it’s simple barn structure and innovative cor-ten cladding this car wash might be doing more for saving the world from ugly than the exclusive musuems 275 miles to the north-east. As always – our lists are a continual work in progress, let us know what we missed. A HUGE thanks to our friend Sandy for creating the backbone of today’s post. On the Radar An Open Letter to MoMA: The Museum of Mediocre Aspirations On the Radar MOMA widens the gap … again. 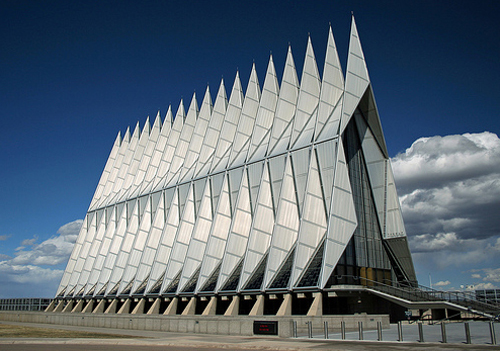 the AFA chapel still looks decent, but colorado springs has become an armpit. its a beautiful state, glad to see you guys got a chance to explore it. 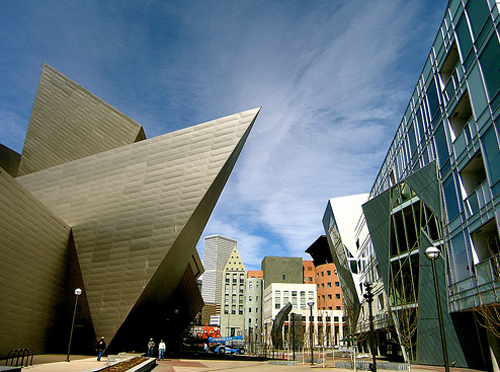 I was out there earlier this year, my photo of the Denver Art Museum is currently the main one for its wikipedia page! I think you guys could be stuck in the middle of the Sahara desert and still manage to extract from it a bunch of cool lounges and hot, modern buildings. It’s great to see the picturesque west slope get some of the design press normally reserved for ‘those Front Range people’ . And, who would have thought the mighty T&C would be the structure to catch your eye ! 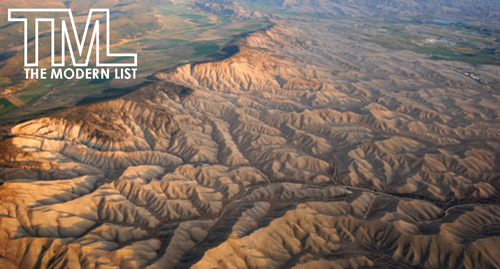 Your Montrose friends are looking forward to further raising the bar through your new project ! If I remember correctly the InSitu project was developed by a bunch of people around the neighborhood (having first been organized by the architect)in an attempt to set a precedent for the type of design/character that they wanted for their neighborhood. I thought it was a really cool approach — coop development furthering a sense of place to their own neighborhood rather than some outside interest as a money-making venture. glad you guys enjoyed your visit! 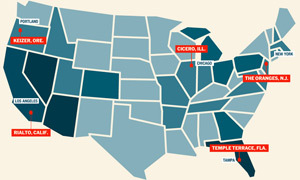 it looks like you took in some good places, but there are many many more cool things to see and do here. you definitely hit on some of my own personal favorite spots around town. let me know when you guys are out this way again, and you can see some more! 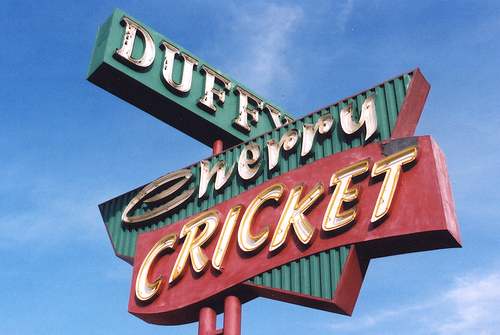 The homage to Duff is a very good touch. Thank you! Nice job guys! You put some miles on your rental.